How can we be happy when we are struggling? .. When we are in emotional turmoil and pain? .. When our thinking and our body feel burdened and heavy? .. When we withdraw from others and the world because we hurt inside? Then we have joined the storybook world of fairy tales, rainbows and bluebirds of happiness. Yet most of us do it all time. Its part of being human and our ego’s way of dealing with pain. Our ego is the survivor and protector part of us. It would much rather escape into wishful thinking than have to face being vulnerable or feeling more hurt. No wonder Walt Disney is so popular with grown ups! So we focus on all the things we wish could be different. We wish this suffering would go away. We dream about how things might be or could have been. And in doing so, we deny this moment and create more stories to keep us exactly where we are – still wishing for happiness. The only moment for living is now. And now is the time for accepting what is alive in us … and to start to take small steps towards being happy. The first step is to accept what we are feeling. By acknowledging and accepting that negative feelings are a part of life … and its okay to have them … we allow ourselves to begin the unburdening and the healing. The more we resist these uncomfortable feelings, the more resistance and tension builds up within us – mentally, emotionally and physically. Until it is released and healed, we will find ourselves getting caught up in cycles of inner struggle and the world of Disney, and we become physically weak and ill. Sit comfortably. Take a few moments to breathe fully and connect with the sensations in your body…. What is alive in your right now? Your thoughts? … Your feelings? Give these feelings… thoughts… and sensations… space. Notice where there is tension or contraction. This is resistance to what is. Allow it to soften and expand. This is a precious part of who you are. Give yourself tender care for this vulnerable part of you. Let it show you what it needs. That feeling is deep within you. Connect to this living energy and embrace it all. Trust that in doing so you allow the loving energy to flow and release whatever is ready to be let go of. 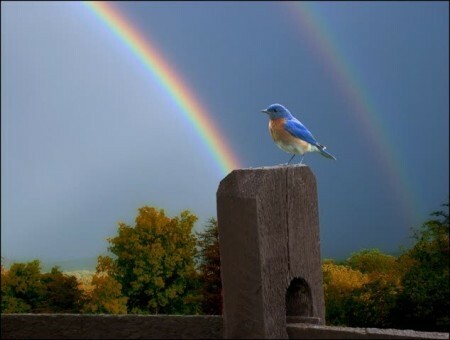 Wishful thinking and waiting for rainbows and bluebirds may make us feel better for a while … but our body and soul know that it is fleeting. If you are experiencing one of life’s lows, perhaps it is time to reconnect to your very being and really feel all of the aliveness within you, instead of rejecting it and wishing it would go away. Acceptance opens up real steps towards happiness. Haha that’s good! 😉 Fun that we both had posts related to bluebirds today! Thanks, Val….words I needed to hear today. “The only moment for living is now. And now is the time for accepting what is alive in us … and to start to take small steps towards being happy.” Love this! We have all the power. Lovely. Sigh. Breathing deeply. Pausing. Breathing deeply. 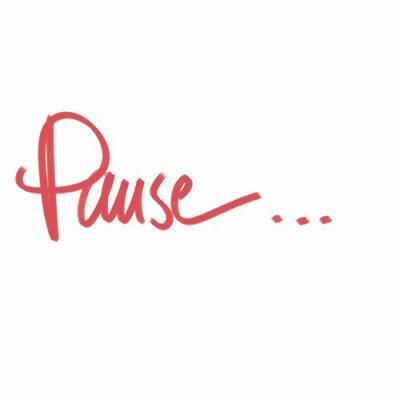 Thank you for the pause. Embrace all with joy . . . anything can be a gift of gold in disguise. So true Nancy … but look out for leprechauns today! LOL! After posting that quote, I thought I should have added something about leprechauns! Yes, it is all about accepting where we are right at this moment. Thank you. Thank you Erica … Gentle reminders nourish the soul. Thank you Hariod for your kind words. Gratitude to you my friend! I sometimes think we waste a lot of energy looking/wishing/hoping for some sort of big happiness miracle when if we just paused, as you suggest, it can be found in little increments. Brilliant post! Love the message … Not so much the Borg Eliza! Glad this is a keeper for you !